NEW from the creator of Toybox Tales, comes Toybox Tales CRAZY COUNTDOWNS! What is a Toybox Tale? Before YouTube even existed, Pastor Karl was uploading videos to the Internet to tell Bible stories to kids using toys. It became the phenomenon known as Toybox Tales and grew into a website and DVD collection that has been loved by countless children! The #1 question Karl gets is, "When are you going to start doing Toybox Tales again?" Well, the time is now! 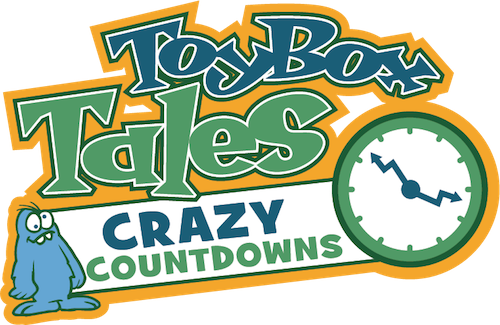 Introducing Toybox Tales CRAZY COUNTDOWNS! No need to fit them into your lesson, use them every week! These wacky countdowns feature Karl's silly humor, toys from the world of kids and include some Bible content to boot! FREE for All Access Members of Kidology.org. Not a Member? JOIN TODAY! Wordless Book Series - Color Black. Toybox Tales Crazy Countdowns are fun interactive videos for before service. Kids will gather and watch and be eager for church to start! Wordless Book Series - Color Red. Toybox Tales Crazy Countdowns are fun interactive videos for before service. Kids will gather and watch and be eager for church to start! Wordless Book Series - Color White. Toybox Tales Crazy Countdowns are fun interactive videos for before service. Kids will gather and watch and be eager for church to start! Wordless Book Series - Color Gold. Toybox Tales Crazy Countdowns are fun interactive videos for before service. Kids will gather and watch and be eager for church to start! Wordless Book Series - Color Green. Toybox Tales Crazy Countdowns are fun interactive videos for before service. Kids will gather and watch and be eager for church to start! 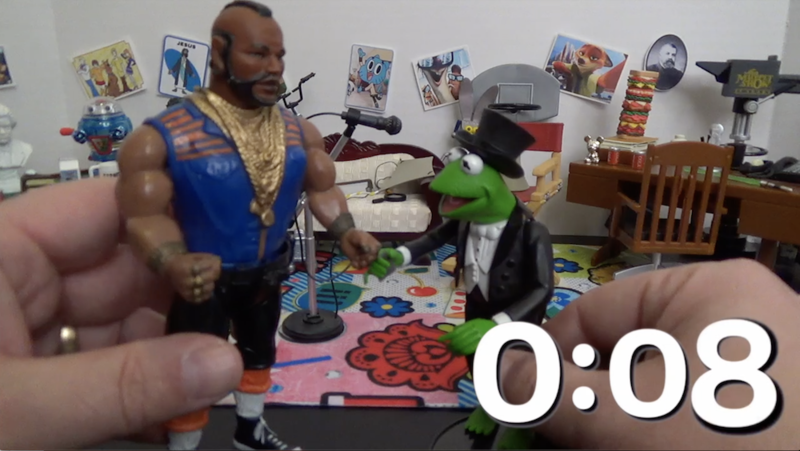 Pastor Karl and his toys are back as Moses joins Kermit the Frog, Bible Man and Fozzy Bear for some Bible Jokes while counting down for Kid's Church to start! Pastor Karl and his toys are back! This time Adam and Eve join the show as Bible Man and Fozzy Bear drive Kermit crazy with Bible Jokes while counting down for Kid's Church to start! The Ark in still parked in Pastor Karl's office because Bible Man and Fozzy Bear have even more Noah and the Ark jokes for Kermit while counting down for Kid's Church! What happens when Dr. Bunsen Honeydew attempts to purge Beaker of his sin with his Sin Eliminator invention? This is the historic first Toybox Tale performed back in 2001, four years before YouTube even existed! What happens when a magician tries to make Something from Nothing? Apparently only God can do that trick! And He did, when He made the world! What happens when Dr. Bunsen Honey Dew tried to clone Arnold Swartzewhathisname? Instead of "I'll be back!" You get "We'll be back!"